Here's a LO I did today. Click image to enlarge. Hope you enjoy! Credits: Template by ThePaperIris; Blue Text by polarfuchs; Fish Text by Gunhild; Urchin & Starfish by Olga Unger; Coral by Concour Forum Digital-Crea. We all know that we shouldn't consume much bacon and it's grease, but a little of it now and then transforms dishes. When we buy and cook bacon, it's grease is already paid for. Don't throw it out. Save it to season other dishes. Back when we didn't know it was bad for us to eat much of it, we would keep it in a jar in the frig. Now that we know to only use a little and not often, freezing it is another option. 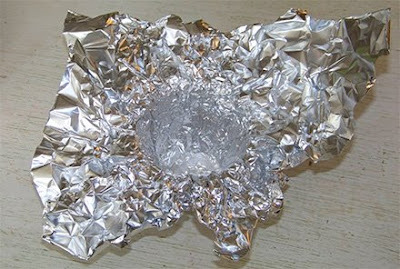 I tear a small square of tin foil and form it around the outside of a small ceramic cup (heat resistant like a muffin cup or ramekin). Then I insert it into the cup, forming it gently so I don't tear it. 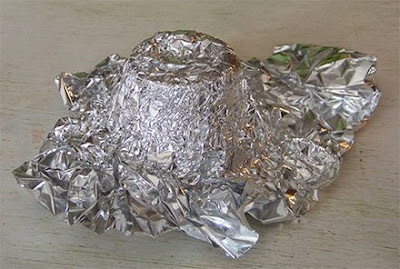 I pour the cooled drippings into this and set it flat in the freeze with the foil loosely over to top. The next day it's frozen. 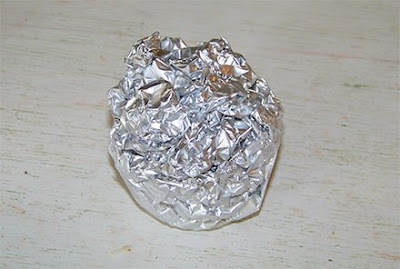 I close the foil and write the date on it. Now when I want to add some to a dish I can just peal it and use it or shave some off of it if I don't need that much. The total cost of this seasoning is $0 and time spent was about 3 minutes! And how is this inspirational? We are to be good stewards of all God gives us! This is not only saving money, but recycling! Praise the Lord in ALL THINGS! If you'd like more of these, let me know and have a super day! This is my gift for you today. I made it years ago with a free action "Squished" by an unknown author. Hope you can use it! 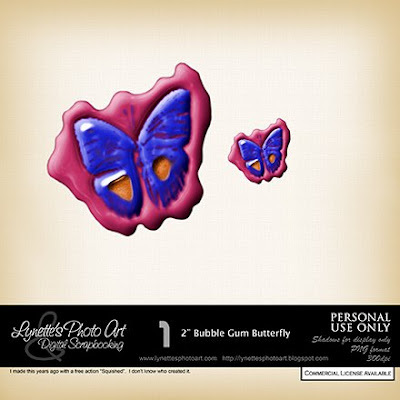 Thanks, I'm always a sucker for butterflies! Thank you so much for this Freebie. I want to let you know that I posted a link to your blog in Creative Busy Hands Scrapbook Freebies Search List, under the Cat(s)/Dog(s)/Bear/Bird/Butterfly/Any other Animal Theme post on Aug. 15, 2009. Thanks again. I Love the TN Aquarium layout. 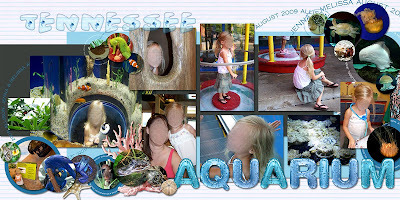 Where did you find the aquarium water filled letters?